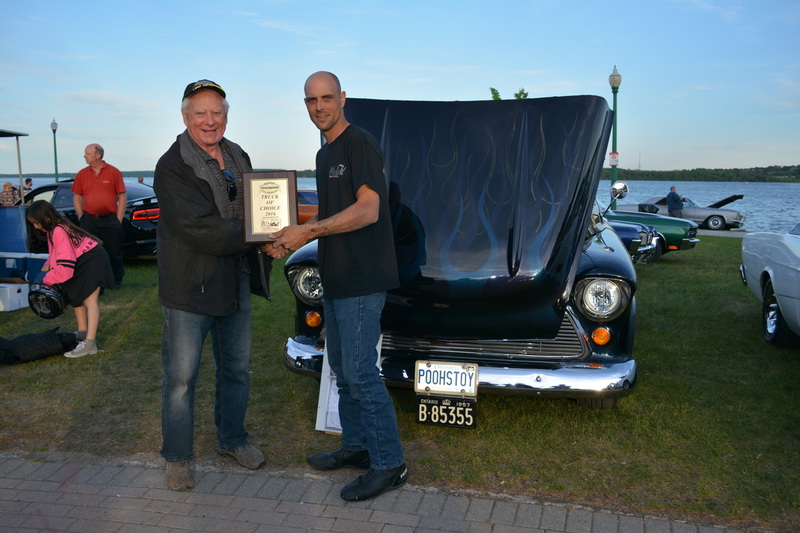 George Neshovski of Wimpy's Diner presents Quinn Clancy with a plaque for best car, a 1973 Z-28. 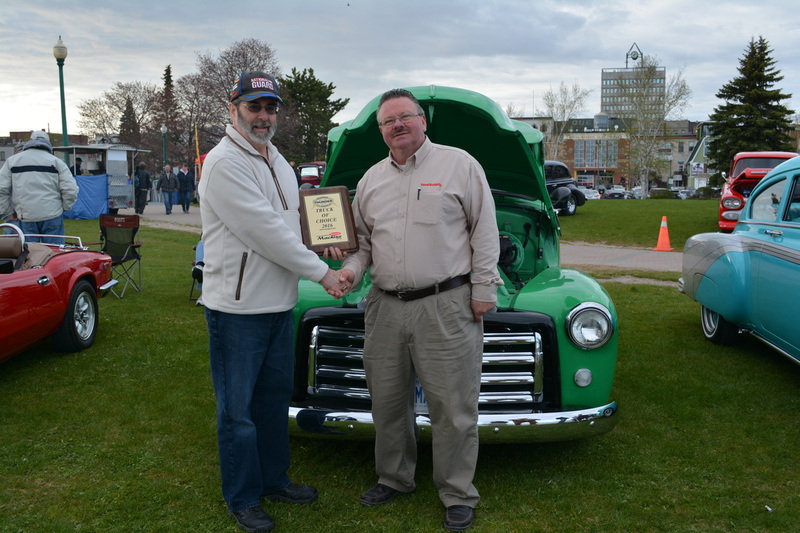 George Neshovski of Wimpy's Diner presents Al St.Pierre with a plaque for best truck, a 1959 GMC pickup. 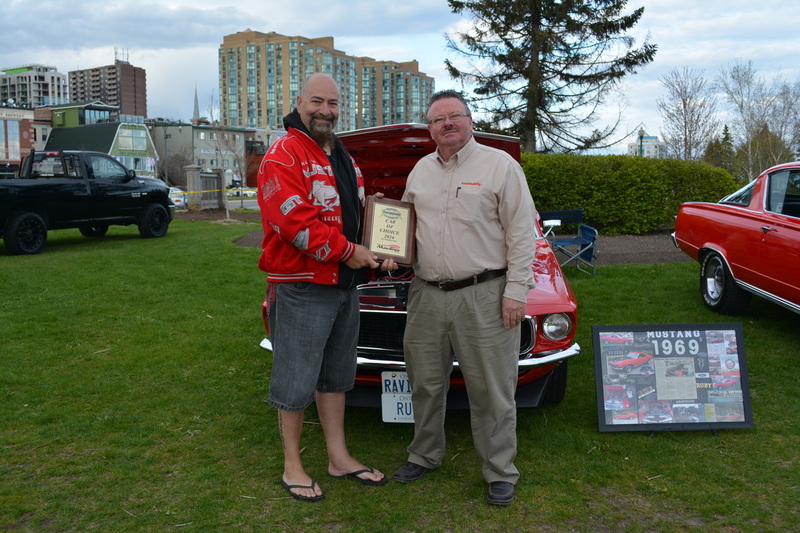 Kim Anderson of CarLine presents Brad Watson with a plaque for best car, a 1975 VW Bug. 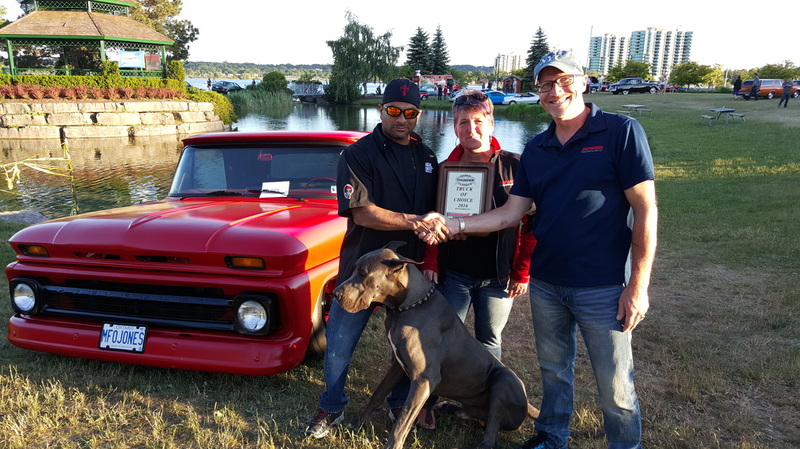 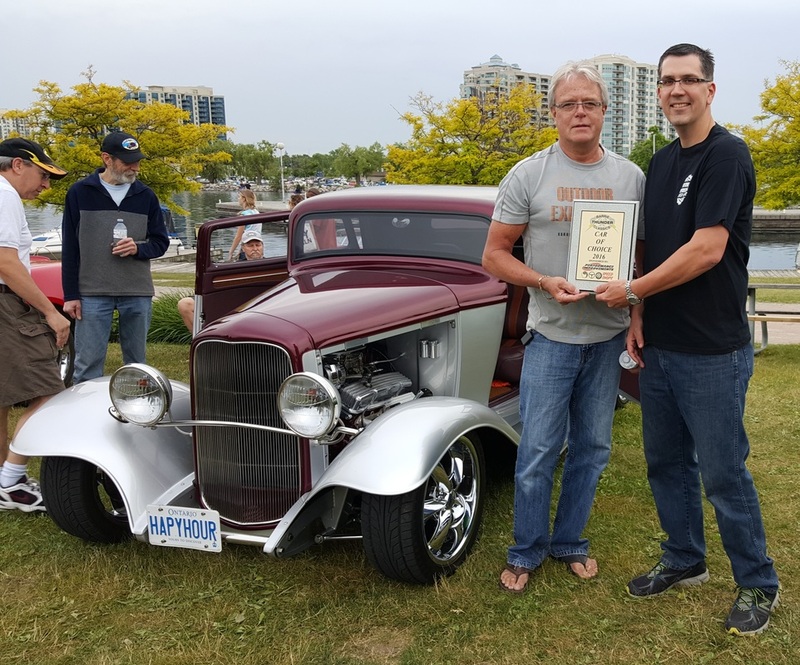 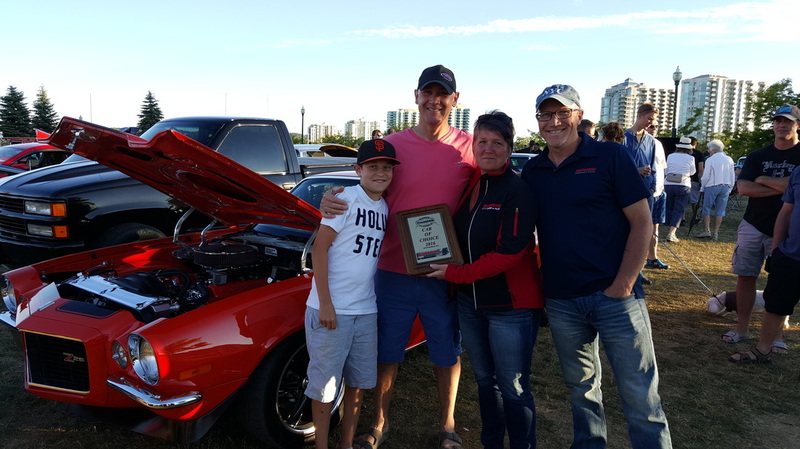 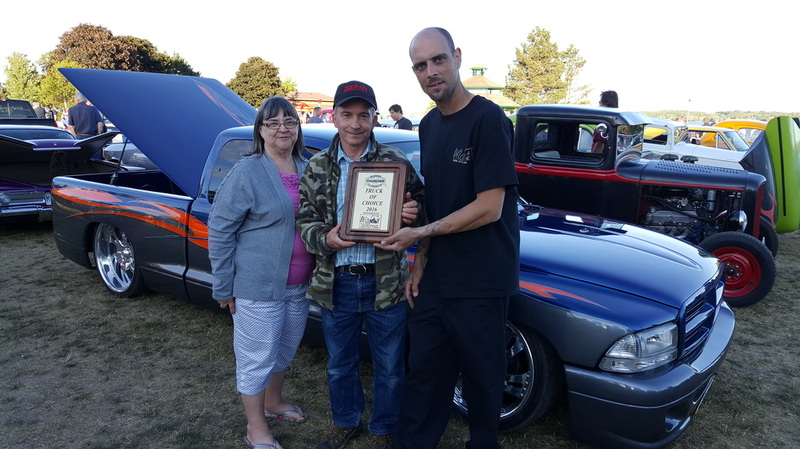 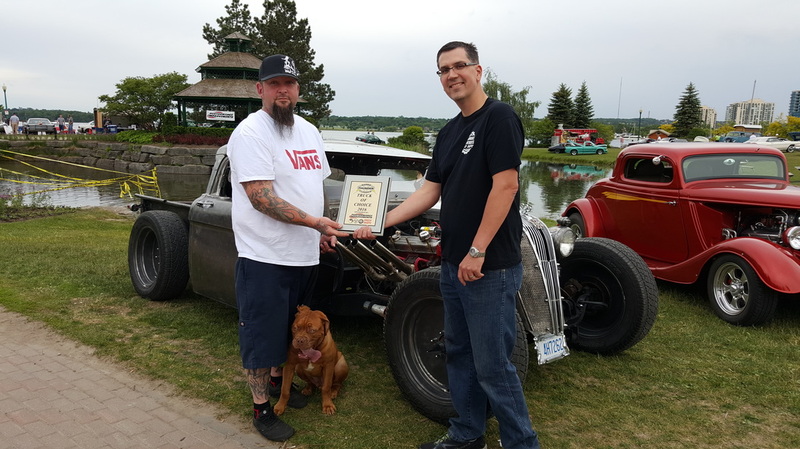 Kim Anderson of CarLine presents Shawn Fairbairn with a plaque for best truck, a 1930 Ford Model A.
Cary MacDonald of Wicked Kool Rides presents Don Gordon with a plaque for best car, a 1957 Ford Gasser. 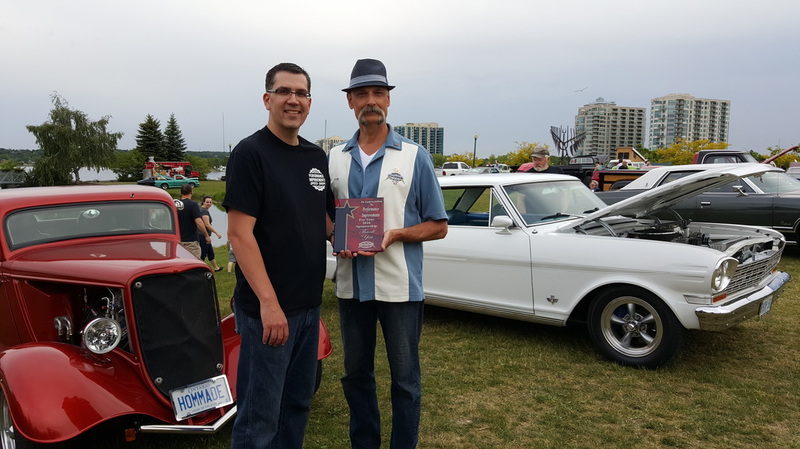 Cary MacDonald of Wicked Kool Rides presents Shawn Fabian with a plaque for best Truck, a 1930 Model A.
Dave Lang of Ideal Supply & Automotive Machine Shop presents Greg Marinoff with a plaque for best car, a 1969 Ford Mustang. 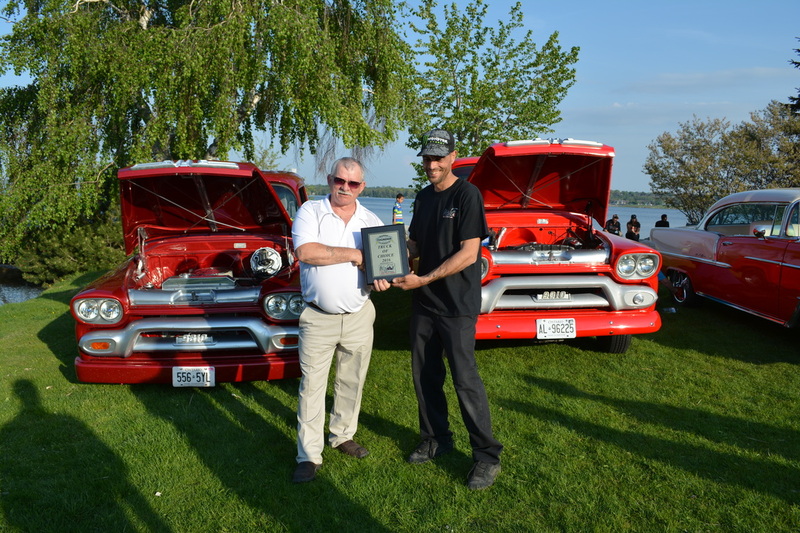 Dave Lang of Ideal Supply & Automotive Machine Shop presents Walter Marshall with a plaque for best truck, a 1952 GMC Series 100. 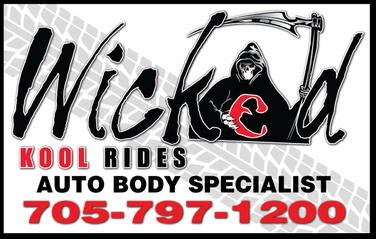 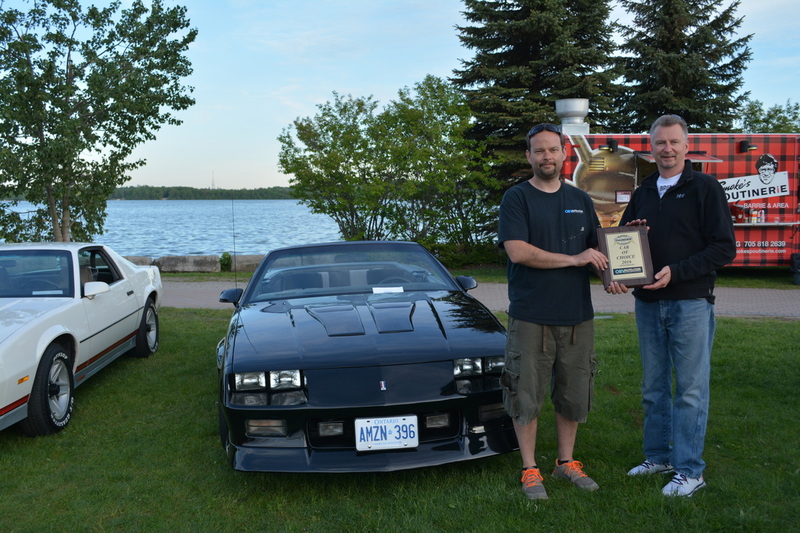 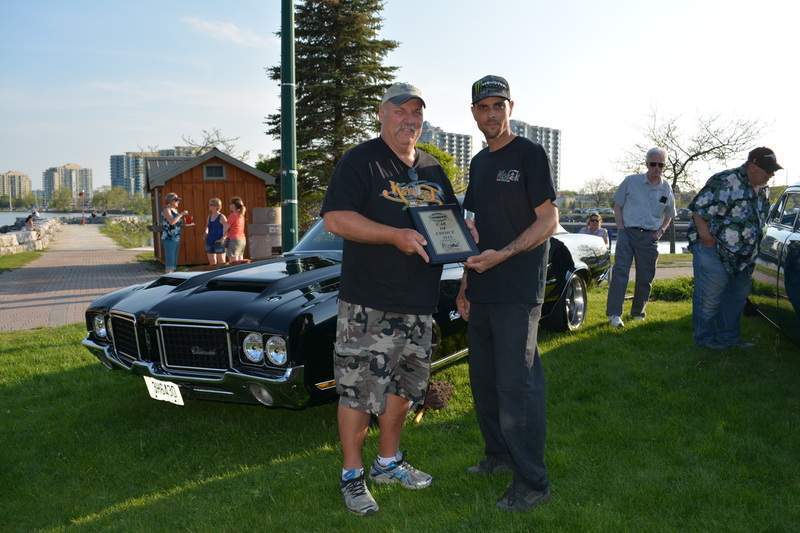 Cary MacDonald of Wicked Kool Rides presents Al Kovacic with a plaque for best car, a 1972 Olds Cutlass . 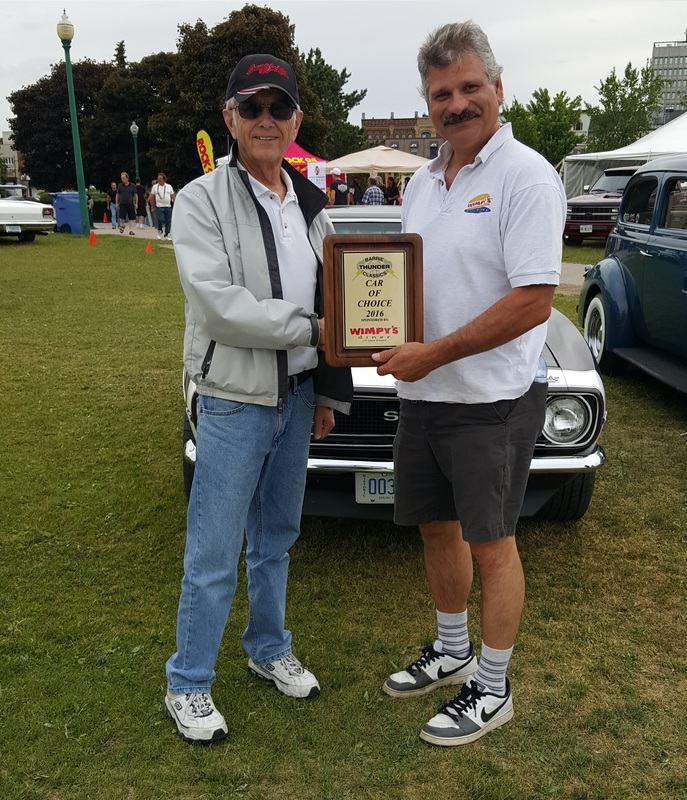 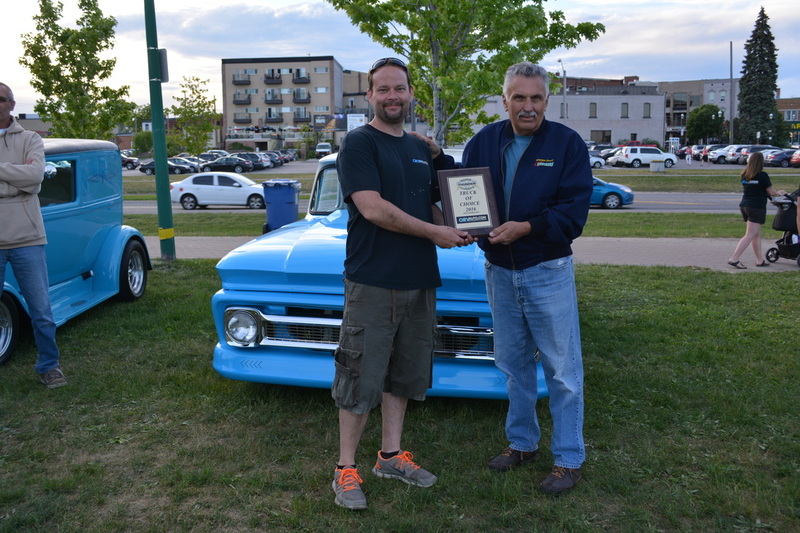 Cary MacDonald of Wicked Kool Rides presents Jim Croft with a plaque for best Truck, a 1959 GMC. 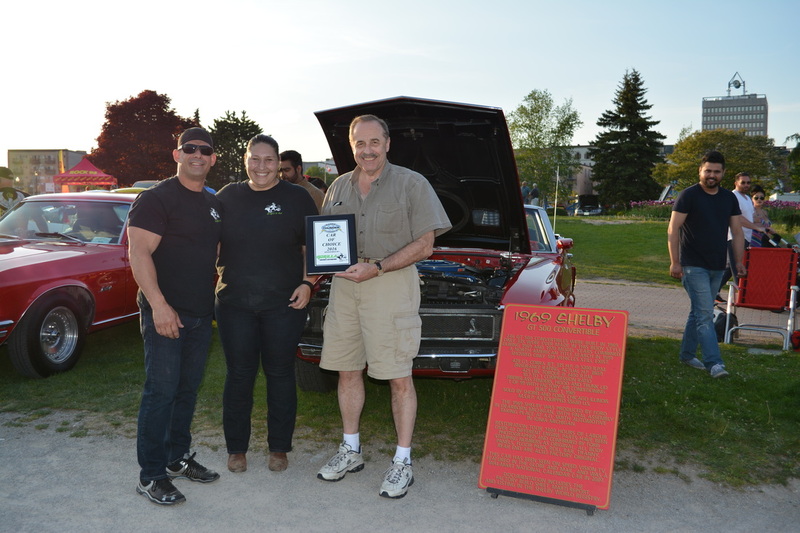 Lara & Jason Bowser of Gorilla Coatings and Restorations presents Randy State with a plaque for best car, a 1969 Shelby Mustang. 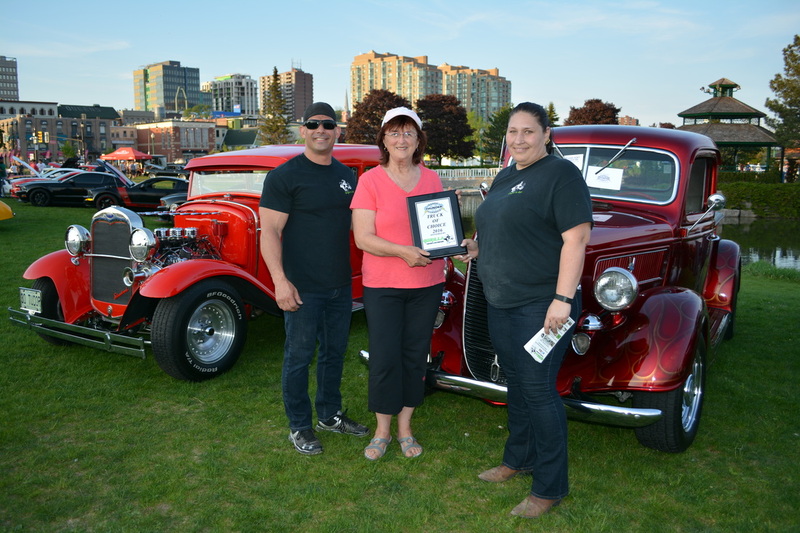 Lara & Jason Bowser of Gorilla Coatings and Restorations presents Judy Gallant with a plaque for best truck, a 1937 Ford. 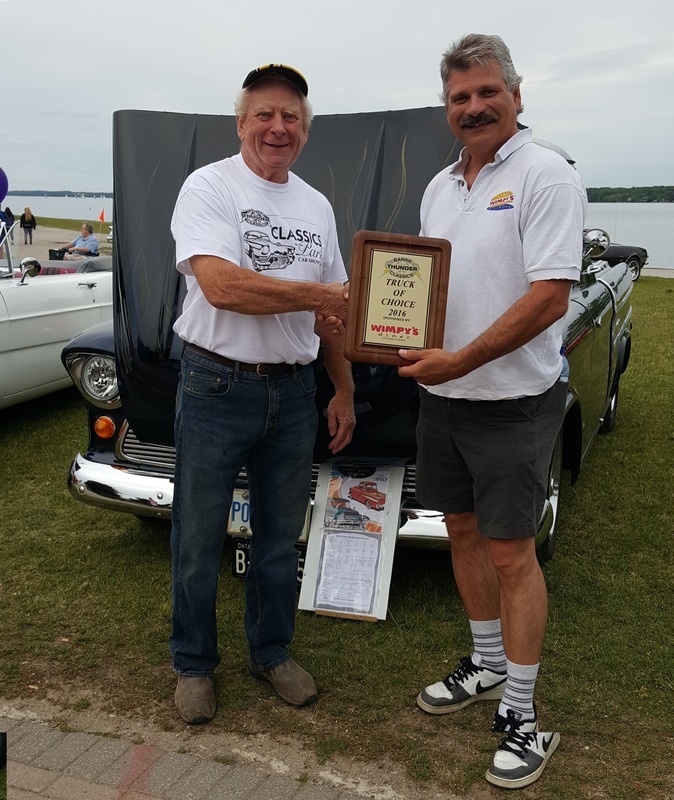 Chris Orvis of ORV Auto Accessories & Signs presents Kerry Koppel with a plaque for best car, a 1991 Z28 Camaro Convertible. 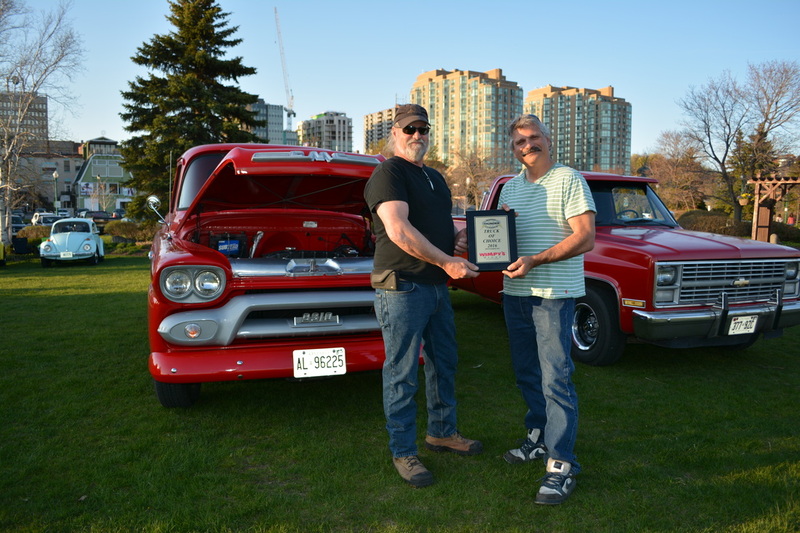 Cary MacDonald of Wicked Kool Rides presents with a plaque for best car, a .
Chris Orris of ORV Auto Accessories & Signs presents Dave Arsenault with a plaque for best truck, a 1966 Chevy C10. 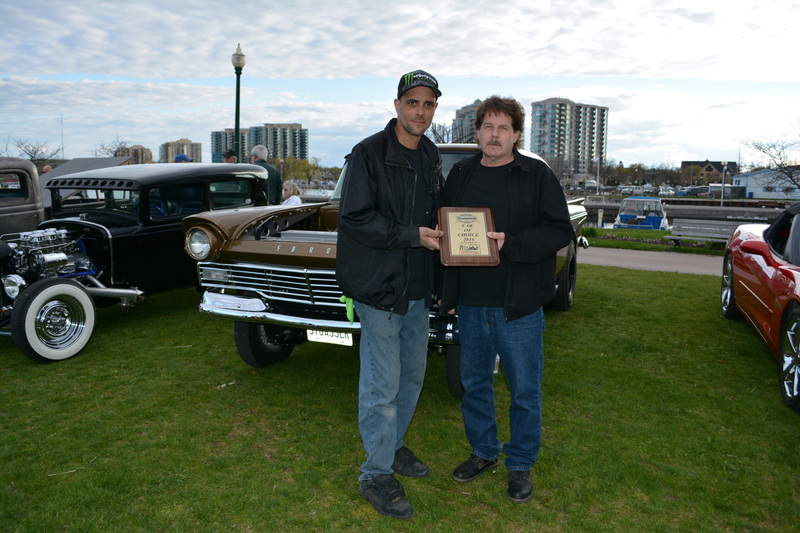 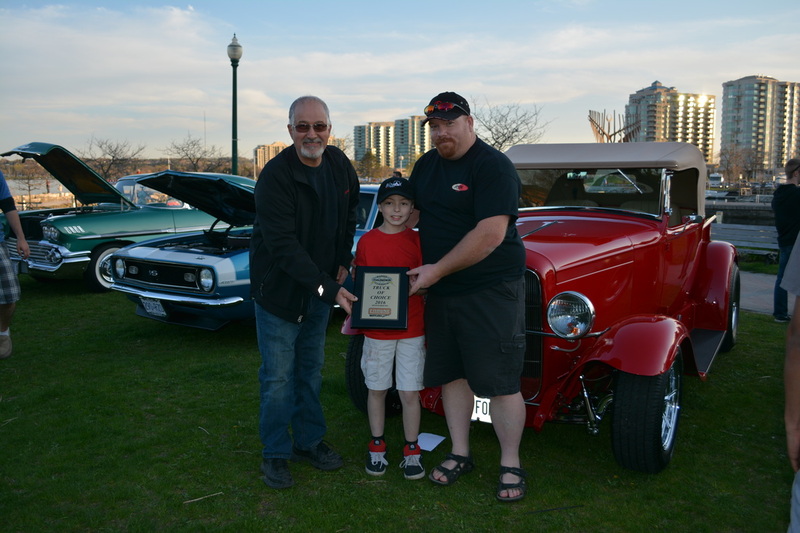 Cary MacDonald of Wicked Kool Rides presents Eric Kennedy with a plaque for best Truck, a 1957 Chevy Cameo. 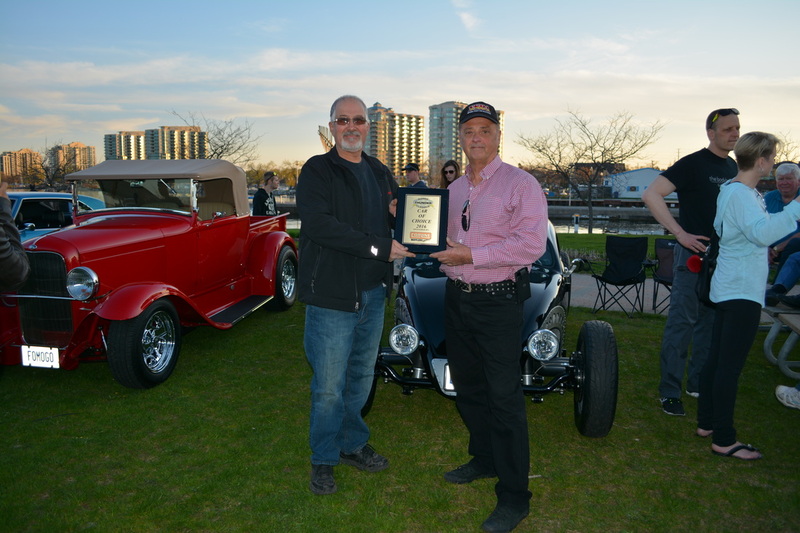 Dave McFarland of Performance Improvements presents a plaque for his pick for Car of Choice. 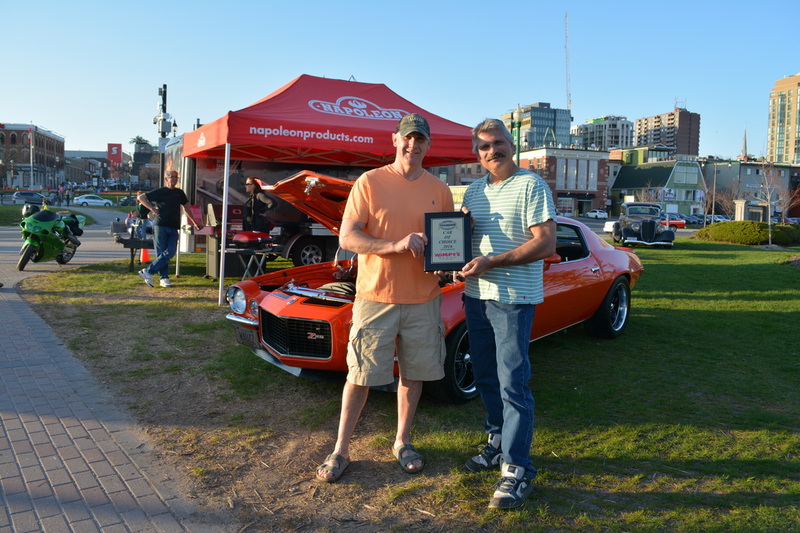 All our sponsors receive a plaque for their support and participation. 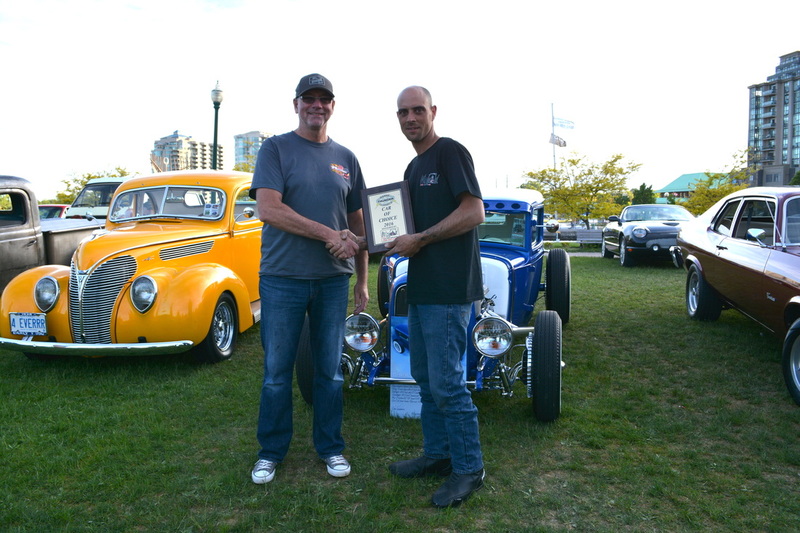 Dave McFarland of Performance Improvements is presented with a plaque of appreciation from Tom Carlos, Thanks Dave!